NIAGADS DSS has been optimized for viewing in a common modern browser, i.e., Chrome 49+, Firefox 52+, Safari 10.1+ and Edge 14+. If you are running older versions or any other browser you may not be able to use all the features of our system. This content requires external authentication. External authentication with NIH Login (eRA Commons) is required. Access to the DSS portal requires having both NIH Login and DSS project download access. 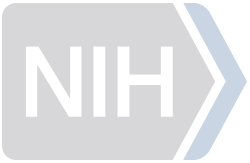 Click on the NIH Login button to sign-in. Once signed-in and validated you can view the DSS Portal Page.